The return of Dave Pearce’s flying saucer attack has sparked a revival of interest both in the music he made during fsa’s initial seven-year tenure and in the family of groups that revolved around Pearce and his collaborators: Rachel Coe (née Brook) and Movietone; Matt Elliot and Third Eye Foundation; Dave Mercer and Light; and more besides. Back in 1993, flying saucer attack’s self-released debut album and attendant 7” singles arrived seemingly out of nowhere. While Pearce had prior form – he’d released a 7”, ‘Up & Down’, with Ha Ha Ha back in 1985, and was involved for a time with Él recording artists Rosemary’s Children – there had been, until ‘Soaring High’, no sign to the outside world of the groups that played a formative role in the development of the Bristol underground. The loosely knit collective met at Farnham Art College, where Pearce connected with characters like Mercer, Richard Walker (Amp, A.M.P. Studio), and Gareth Mitchell (The Philosopher’s Stone); eventually they formed a group, The Secret Garden. In the early 90s, Pearce and Walker recorded together briefly as The Distance, while Pearce’s employment at the legendary Bristol record store Revolver, the topic of scene mover Richard King’s Original Rockers memoir, had him behind the counter alongside Matt Elliot, who was making music with Rachel Brook and friends as Linda’s Strange Vacation. Pearce joined the group but they dissolved soon after, splintering into various different projects. Between The Secret Garden and Linda’s Strange Vacation, you have the personal coordinates for much of the music detailed in this list. The list covers the majority of the records released from 1993 to 2003, when these groups were most active. Some have continued to make music. Matt Elliott records both solo and occasionally as Third Eye Foundation; Tom Cops, who has played with Movietone, records in My Two Toms; Matt Jones (of Crescent and Movietone) has played with Vase and Fránçois & The Atlas Mountains; Sam Jones (also Crescent and Movietone) records as The Balky Mule; Richard Walker is threatening new material as Amp. If you’re interested in the over-arching story of the Bristol ‘scene’, I would suggest reading Joseph Stannard’s definitive piece in The Wire #378 (August 2015) where he interviews most of the main players. Perhaps it’s best to consider this extended list a humble supplement to his exceptional work. 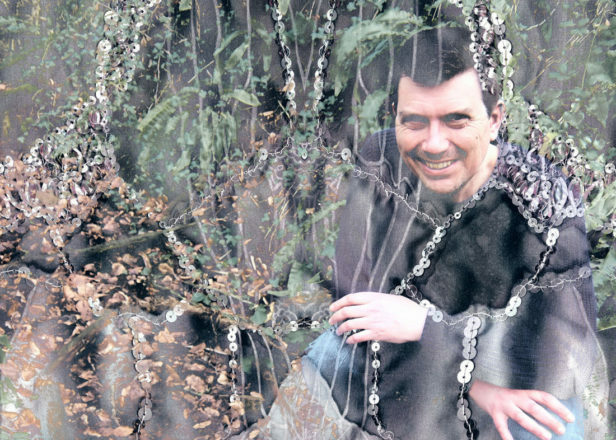 Listen to a brand new mix from flying saucer attack’s Dave Pearce. 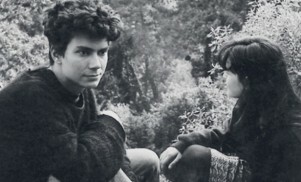 flying saucer attack’s self-released debut single, ‘Soaring High’, landed just after the shoegazing bubble burst, which may be why the English music papers positioned the group alongside that scene. Drop the needle on the single, though, and it takes about 10 seconds to figure out that something very different is happening here – ‘Soaring High’, pivoting on the simplest of chord changes, buries its melodies in the kind of gritty, 4-track saturation characteristic of New Zealand’s Xpressway label (Pearce was a major fan) while the guitar lines, all fluffed bends and strained strings, are like a low-rent take on The Bevis Frond. After a second single, ‘Wish’/’Oceans’, Pearce and co released their debut album, flying saucer attack. They made better albums, but this one still feels somehow consummate, as though it captures the essence of the band, orbiting between psychedelic folk songs pushed through banks of distortion and reverb, and bleary, wastrel ambient interludes. The cover of Suede’s ‘The Drowners’ pays tribute to a great pop song by burying its heartbeat in waves of noise. But flying saucer attack’s peaks are many and varied: the driftwood melancholy of ‘My Dreaming Hill’, the cascades of guitar jangle on ‘Wish’, and the opaque four-track kosmische musik of ‘Popol Vuh 1’ and ‘Popol Vuh 2’, the first in a line of ongoing krautrock tributes from Pearce. Fun fact, thanks to Phil McMullen, editor of early fsa champions Ptolemaic Terrascope: the photographer of the model featured on the cover of Suede’s ‘The Drowners’ single was Holger Trülzsch, one-time member of both Popol Vuh and Amon Düül II. Perhaps Pearce knew all along. ‘Lost’ has Crescent in thrall to the scorched-earth guitar dynamics coming out of the USA across the second half of the 1980s – using wah-wah to stretch notes like taffy, and emphasising the harshness of the effects they used. It feels like Dinosaur Jr recording in a musty, dank garden shed, lichen covering the building as the group plays on, fighting through claustrophobia by taking lungfuls of corrosive air. It’s a staggering performance just as much for what it keeps in check – this is tamed fury. ‘360˚’, by contrast, starts out flooded; a ticking, dampened cymbal beating out a rhythmic tattoo as guitars overload, and Matt Jones sleep-talking his way through an urban diorama of motorways and movies. The front cover of the debut Movietone single – two cups of coffee, a note written underneath reading ‘Gas station – stopped for matches’ – captures perfectly the group’s understanding of the mystery buried within the everyday, even as their back story is more mysterious still. “The cover is a cup from the Billy Orel café in Prague,” Wright recalls. “I was taking an extra course in photography at the time so I took and printed the photos. It was very inspired by the cover designs of Blue Note records.” These simple songs are evocative of bedsits, faded curtains, motes of dust dancing through dispersed sunlight, and bedroom studios. There’s a deeply personal air to Kate Wright’s singing, and her lyrics were very conscious evocations of a post-Beat aesthetic. As she told me last year: “The words were inspired by a trip to Paris that I had taken with Matt Jones and by beat poetry and [the] ‘first thought, best thought’ way of writing that Jack Kerouac had.” The formative version of ‘Orange Zero’ on the B-side proved the group were no slouches when it came to building-levelling noise destruction, too. ‘She Smiled Mandarine Like’, alongside Crescent’s ‘Lost’, also signalled Richard King’s nascent Planet Records as the hub of Bristol’s underground. ‘Land Beyond The Sun’ may well be the perfect flying saucer attack song; certainly, it’s a template of sorts for their later album, Mirror, as Pearce steps out of the murk, his vocals clearly articulated as he sings out a bruised love song. It’s an emotionally devastating performance, with Pearce wringing tears out of the ceremonial drone he builds as the song’s backdrop. Later on in the fsa story, the Earworm label released a 7” by Jon/Dave, which featured an embryonic ‘Land Beyond The Sun’; stripped of the murk, the 1987 recording reveals a mournful acoustic study. He may have cranked the volume, but Pearce maintained the song’s structural integrity over the intervening seven years. On the flipside, ‘Everywhere Was Everything’ is one of fsa’s most oppressive noise avalanches; this is the sound of confusion, updated for the 90s 4-track jet-set. Pearce may have called the first album ‘rural psychedelia’, but that term was far better suited to flying saucer attack’s second album, Further. Here, Pearce goes widescreen – after ‘Rainstorm Blues’ opens the album in a pensive hush and ‘In The Light Of Time’ and ‘Come And Close My Eyes’ play out like Nick Drake drifting through Manuel Göttsching’s garden, Further becomes deeply elemental. The following ‘For Silence’ and ‘To The Shore’ are torrential, while ‘Here Am I’ offers a dark alchemy. 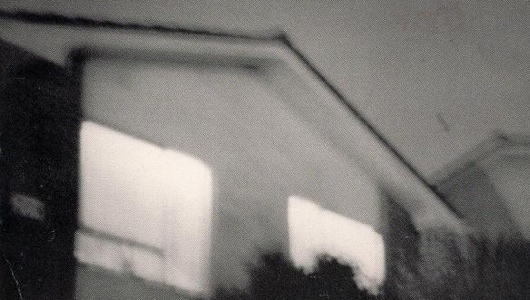 For many, Further is the pinnacle of the ‘first phase’ of flying saucer attack, an observation that Pearce seems to agree with, though in an interview from 2000 he acknowledges that it’s “a difficult album, because it reminds me of a very grim time”. It’s certainly desolate, at times suffocatingly so, but its emotional trajectory allows for plenty of glimpses of light, not least in the reverie of the closing ‘She Is The Daylight’, which sends the listener out on waves of joy. ‘Sun’ is the apex of Crescent’s earliest form – the song strains at its own boundaries, riffs bleeding from the speakers as the drums sit permanently on the edge of collapse. It’s their most fearsome performance on record, significantly increasing the tension and volume from ‘Lost’, and signposting the wildness of their debut album, Now. ‘They Are Rebuilding The City’, on the other hand, is an instrumental dub space; great collapsing architectures of Echoplex and organ humming and buzzing through the ether as a smoky bassline plunges into the city square, a squall of clarinet breaking out of the song’s confines. If Movietone’s first single felt, maybe, a little tentative, ‘Mono Valley’’s dramatic turns and unexpected wildness – crashing plates of glass, atonal clusters of piano tearing out of the speakers, buzzing clarinet – signalled a group at ease inside their music. It would become a centrepiece of their debut, self-titled album, released later in the year. B-side ‘Under The 3000 Foot Red Ceiling’ was the first in a number of songs that had Movietone re-imagining the shadowplay of feminist post-punk – think The Raincoats’ Odyshape as played by Ut – for a new underground. Its free-jazz-in-miniature breakdown, where guitar and clarinet twist like tagliatelle, offers more hints as to where Movietone were coming from, aesthetically. Featuring a rare vocal turn from Rachel Brook, ‘Beach Red Lullaby’ is one of flying saucer attack’s most gorgeous songs. Devastating in its simplicity, Pearce’s simple guitar phrases, which chase their own tail through his use of delay, are again slowly swamped by a coruscating wave of guitar noise. It’s all in the design, though – with the two guitars panned hard to either sides of the stereo spectrum, and Brook’s happy-sad melody sitting in the middle of the mix, ‘Beach Red Lullaby’ gives its three simple elements maximum space to breathe. The cumulative effect is startling – and deeply moving. ‘Second Hour’ is raucous, with snaky guitar weaving lines of light in the song’s undergrowth. In Joseph Stannard’s recent feature in The Wire, author and scene protagonist Richard King states simply: “Movietone are perhaps the last undiscovered British group.” There’s no overstatement or hubris here. Released into a beleaguered and largely indifferent musical and critical culture – these were the days of lowest common denominator Britpop, remember – Movietone was a subversive act, a statement of difference. ‘Orange Zero’ and ‘Mono Valley’ may have offered signposts of what was to come, but the breadth of vision suggests a group thinking cinematically, and the referents are wild and brave: Beat poetry, French new wave cinema, free jazz, the hermetic songforms of the third Velvet Underground album, field recording, spontaneous composition. The revelation of Movietone, though, is a nascent, deep British folk melancholy that would find fuller flower on subsequent records. You can hear this starting to develop in the quieter lacunae of the album; ‘Late July’, in particular, is one of the group’s most affecting songs. It sounds as gentle and unpretentious as the victories of the recording session were hard won, according to Wright: “Me, Rachel and Matt Jones recorded ‘She Smiled Mandarine Like’ and ‘Late July’ in a recording studio near Weston-Super-Mare. We recorded the vocals in the garden, which the recording engineer was not happy about, plus he tried to make us sing in tune, which was unfortunately impossible.” Movietone is a perfectly realised document capturing the enthusiasms of a gang of friends discovering what’s possible (and aiming for the impossible) within the world of recorded sound. The second in an occasional series of compilations, Chorus pulls together the ‘Beach Red Lullaby’ / ‘Second Hour’ single, fsa’s second Peel Session, and a few stray songs. Like its precursor, Distance, it’s a satisfyingly holistic listen, doubtless because by this stage, the fsa ‘thing’ was fairly clearly delineated, and each song felt hewn from the same material. ‘Beach Red Lullaby’ is still the stand-out, but the oceanic pulse and swooping noise of the opening ‘Feedback Song’ is another high-point in the fsa catalogue, a song that slowly engulfs the listener in its starlit wash. Pearce pays tribute to Florian Fricke, again, with the four-note tattoo that is ‘Popol Vuh III’, another kosmische landscape. One day, maybe, the first fsa Peel Session will see release. It’s worth it for the clanging, fearsome ‘Jeff Mills Blues’ alone, an early sign that Pearce’s listening was moving far beyond the home-bound psychedelia he was aligned with. Given Pearce’s fondness for Bruce Russell’s Xpressway imprint, it seemed inevitable that flying saucer attack would make an appearance on his subsequent free noise label Corpus Hermeticum. Russell assembled In Search Of Spaces from live tapes recorded in 1994; another reconstructive effort, Russell emphasises the uncertain, precarious elements of the fsa live experience, grabbing hold of the noise and not letting go. Plotted into one long-form, 50-minute piece, it’s an exhausting listen, moving from lugubrious passages of muted feedback, swimming around the ‘Popol Vuh III’ motif, to gripping architectures of noise spiralling out from the void. For anyone who didn’t see flying saucer attack in this particular live incarnation – and that’d be quite a few of us – In Search Of Spaces is an important document of unrepeatable times. Recorded over two days in September 1994, Now closes down the first phase of Crescent, where they were playing a wild form of anti-rock, their songs often close to falling apart, strangely echoing the form-disruptive explorations of early Sonic Youth. ‘Sun’ leads the album, a burst of brackish noise, a rupture in song that persists across Now. Crescent return to this form on ‘Song’, ‘Exit’ and ‘Third Light Home’, but it’s the asides that point forward: the scattered, sly instrumental interludes like ‘Intermission’, or the downturned cast of ‘New Sun’. The closing ‘Light Will Pour From Our Eyes’ sums up all that’s great about this era of Crescent – freedom within constraint; murmured, understated voices spinning out uncertain narratives; unpredictable twists and turns; and disturbances that thread throughout the song, repeatedly violating its structures. They’d never be quite this fierce again. From now on, that intensity would be channelled inwards. Amp are sometimes written out of the Bristol story, or underlined as an ancillary presence, but Walker was an important early player in pre-fsa times, and Amp’s first single and album were both released on Matt Elliott’s label, Linda’s Strange Vacation. That single, ‘Remember’/’Get There’, was a beautifully vague slab of post-MBV dreampop, but Sirènes stretches the Amp vision, taking in dissonant clusters of piano, roiling waves of noise (‘Perdu’), etudes for field recording and cosmic electronics (‘November’) and elemental driftworks (‘Soft Stone Soul’). It’s no surprise that they connected with space-rock labels like Kranky and Enraptured, but over the years Amp have released a stack of singles and albums that are only predictable in their unpredictability, and have birthed a number of side projects, such as A.M.P. Studio and The Philosopher’s Stone, all worth following up. But their story really does feel like another world unto itself, well overdue to be explored in greater detail. One of the guests on Amp’s Sirènes was Dave Mercer, a friend of Dave Pearce’s who was busy recording and releasing his own music as Light. After an introductory 7” single, ‘Turning’/’Presence’, in 1995, Turning was Mercer’s debut album. While it doesn’t set down too far from the ‘rural psychedelia’ of fsa’s Further, there’s more than enough that distinguishes Mercer’s songs. If fsa at this juncture were expansive, Mercer is insular, using effects and banked-up drones to shore his songs up against the outside world. Mercer often leans on delay to smudge his melodies, confecting his songs from layers of tone and texture; the out-of-focus plant life and reflections from water of the artwork give a good indication of the album’s lovely indolence, while also suggesting parallels with landscape film and experimental nature works. Indeed, you could imagine many of the songs from Turning accompanying a John Woodman or Peter Hutton film. Turning is perhaps the truly overlooked gem from the Bristol scene. If their debut album was exploratory, a testing out of the parameters of what could be done within the Movietone group mind, then Day And Night begins a process of refining. In many ways, it’s the beginning of the Movietone ‘sound’. Here, chords act as punctuation marks at the end of gently entwining phrases and melodies, while each song grows across a thicket that’s been coppiced to promote new approaches to the group’s lovely, restrained melodies. Opening with their two recent singles, ‘Useless Landscape’ and ‘Sun Drawing’, and a quiet acoustic interlude, ‘Blank Like Snow’, Day And Night really opens out with the rhythm-less, see-sawing ‘Summer’. The second side – all Movietone albums are structured as albums, with careful thought given to how the tracklisting unfolds – is like a fever dream diorama unfolding in slow motion, yet with everything steeped in hoarfrost and rime – the closing ‘Crystallisation Of Salt At Night’ is paced so assuredly, yet so unassumingly, that you only notice its deoxygenating qualities after you’re deep inside the song’s maw. If Semtex was an invigorating opening blast, Ghost is where Matt Elliott really starts to refine what Third Eye Foundation is all about. While you can still hear his fascination with jungle in the spliced breaks of ‘I’ve Seen The Light And It’s Dark’ and ‘What To Do But Cry?’, Ghost’s more funereal cast is dictated by Elliot’s love of warping, sea-sick noise, now constructed via sampler – great, coruscating blocks of ashen-grey fuzz and hum, moved around brutishly, banging up against each other to create imposing edifices of sound. ‘Corpses As Bedmates’ is the key here; a grotto of dark tonality swamped at high tide. It makes sense that Elliott pays tribute here to Bob Drake and Susanne Lewis’s first group, Corpses As Bedmates – their 1986 Venus Handcuffs album (later reissued by Ad Hoc under the band name Venus Handcuffs) is just as queasily affecting as Ghost. Elliott was also talking up England’s hidden reverse – Nurse With Wound, Coil, Current 93’s Live At Bar Maldoror – and you can certainly hear their embrace of cut-up methods and sidereal sound manifest in Ghost’s contours. If Now was an expression of Crescent as an experimental rock group, the following year’s Electronic Sound Constructions took a 180-degree turn: it’s a solo project for Matt Jones, the notional leader of the group. Taking possession of an 8-track and filling it full of dub fantasia, good parts of Electronic Sound Constructions come across like a dark, smoky night at King Tubby’s, bongwater spilling across the tape and staining the oxide while a melodica sings out rustic notes among the fug. In many ways, it takes off from ‘Unit System’, the 14-minute B-side to the ‘Sun’ 10”, released in America on Atavistic, but it also broadens the palette – though as Jones noted in Stannard’s article, the album has almost no top-end. It closes with the obsessive ‘Philicordia Loops (Excerpt)’, a 15-minute piece of simple systems music, a descending organ melody unspooling; it could, and should, go on much longer. Where’s the full version, then? Matt Elliott was on a roll through 1996 to 1998. Along with three albums and a remix set, In Version, he released a number of singles, including the hair-raising ‘The Sound Of Violence’, which had him working at the extremities. You Guys Kill Me crowns this period of intense productivity, being his most articulate and assured set, while still retaining plenty of rough edges and underhand menace. His production is as queasy and waterlogged as ever, but there’s somehow a sharper focus to the noise, and a deeper, even more hermetic take on textural warp and weave. He’s also moving further from his grounding in jungle – with many of the songs here, it’s a more spectral presence, informing the way Elliott moves around the elements of each track, rather than simple references in his rhythm programming. The album’s heaviest pass is ‘An Even Harder Shade Of Dark’, which has all the tension of a tightly wound boxer ready to strike, even as the slippery rhythms work a lugubrious, almost sleazy seam. Beaming aged string samples and clutter-funk snippets in from the stars, Elliott would never quite reach the peaks of You Guys Kill Me again, but there’s still a body of fantastic subsequent work to explore. Matt Elliott once said of Crescent: “Give them an instrument, and they’ll play it like it’s meant to be played for five minutes, get bored, then try to do other stuff with it.” Collected Songs pulls together recordings from 1995 to 1998 and its more experimental edges prove Elliot’s observation to be correct, though some of the more compelling moments on the album are the mournful, chamber songs like ‘Unity’, where a piano, bass, and drawling strings wind around Matt Jones’ droll voice. ‘Light/Eyes’ is a deep pass through a grey, pockmarked hinterland, recorded through a dope haze. The wicked screed of feedback that whines through the closing ‘This World Is Not Our Home’ feels like a tribute to the solo that splits apart Talk Talk’s ‘After The Flood’, and indeed the intimate expanses of Talk Talk’s final two albums are a good reference point for what Crescent were doing – just relocate those expensive studio sessions to a dimly lit, decaying bedroom studio. A single that slipped through the cracks, From Red Down’s ‘Lift Up Your Head’ is the sole evidence of Rachel Brook’s solo music. It’s a shame she didn’t release (or perhaps even record) more, as ‘Lift Up Your Head’ and ‘Girl Cat (So Thin On Love And Barley)’ are beautifully smudged affairs, miniatures that revolve around muggy loops. ‘Girl Cat’’s meandering acoustic guitar works in quiet tension with the Cluster-like sampled electronics that provide the song’s backbone, while ‘Lift Up Your Head’ has steel strings drifting in and out of focus, as though played like an Aeolian harp, while Brook gently puffs a melody out of a clarinet. Also worth following up: Headfall’s Stars That Shine To Noise, a brooding, hypnotic album from a group that included within its ranks Rachel’s cousin, Lisa Brook. The album also featured Kate from Movietone, and Matt and Sam from Movietone and Crescent, as guests. You can still buy the LP from the group’s Bandcamp page. If Pearce couldn’t gel with New Lands, he was much fonder of Mirror on its release, telling Ptolemaic Terrascope: “What I think I was trying to do before, I’ve done a bit better this time. By ‘better’ I mean ‘nearer’ to what I’ve been trying to do all along… something came out right this time.” It’s certainly the clearest, most direct album Pearce has ever released, partly due to improved sound quality, partly due to the clarity of his vocal performances – here, you can tell Pearce is really embracing the melodic and melancholic nuances in his voice, and really singing. But Mirror also somehow manages to encapsulate most everything Pearce had done before, from unprepossessing acoustic laments, to blasted guitar scapes, to fried electronic pulsations, while also bringing new ideas to the table. The second side of Mirror, for example, opens with the jungle/drone-rock sound-clash that is ‘Winter Song’. Pearce sounds free on Mirror, as though he’s enjoying music again, which made it even more of a shame that this was the last fsa album for 15 years. The Blossom Filled Streets is where Movietone’s ensemble playing really came into its own. While you can hear trace elements of what might be ‘influences’ – the Beat poets are still there, and their improvisatory approach to narrative; Eastern European film soundtracks might have been in the air; the fragile song forms of third-album Velvets make their presence felt at times – by now, Movietone are starting to articulate a deeply simpatico, singular approach to the song. There’s subtle drama in these songs: from the bristling harmonics and hovering viola scree of the title song, to the ocean-side peregrination of album opener, ‘Hydra’, Movietone have a sure sense of pacing, and their music takes deep, swooning breaths, inhaling and exhaling slowly. It’s incredibly human music that makes time elastic. The Blossom Filled Streets is remarkable in its ability to displace temporality, to make you lose your sense of duration. With Clear Horizon, Dave Pearce teamed up with one of his smartest ‘students’, American singer and songwriter Jessica Bailiff. Her first few albums, also released on Chicago imprint Kranky, were clearly indebted to flying saucer attack, though they had plenty of their own personality too. But the teaming of Pearce and Bailiff certainly made sense, and on Clear Horizon they lock together in gentle consort, even though the album is played largely on Bailiff’s terms – at least, when listening from the outside in. The collaboration makes the most sense on songs like the stately ‘Death’s Dance’ or the album’s centrepiece, ‘Sunrise Drift’, which opens like a stripped-back tribute to A.R. Kane’s ‘The Sun Falls Into The Sea’ before a piercing drone, breeze-blown wind chimes, and Bailiff’s consumptive gasps paint the skies. In a contemporaneous interview, both Pearce and Bailiff hinted at a second album in the works – perhaps with Pearce back in the game, they can finish what they started.